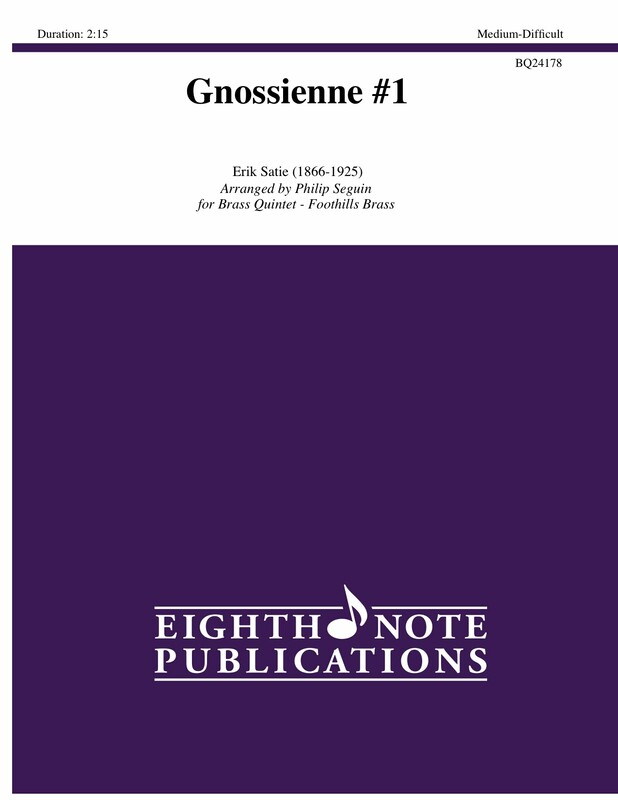 Crowned by some as "the champion of the musical miniature", Satie found formality annoying, as is clearly evident in the manuscript for his quaint Gnossiennes. Appearing for the first time are humorous indications to the performer, in lieu of traditional Italian directives. This is another great example of this famous French composer's unique style that lends itself well to the brass quintet.